I received some wonderful news from our Program Chair: Stephen Maciejewski will be speaking at the August meeting of the National Capital Area Chapter of The Gesneriad Society. If you've never been to one of his trip talks, you're in for a treat. His trips are amazing, and he's an excellent and entertaining speaker. 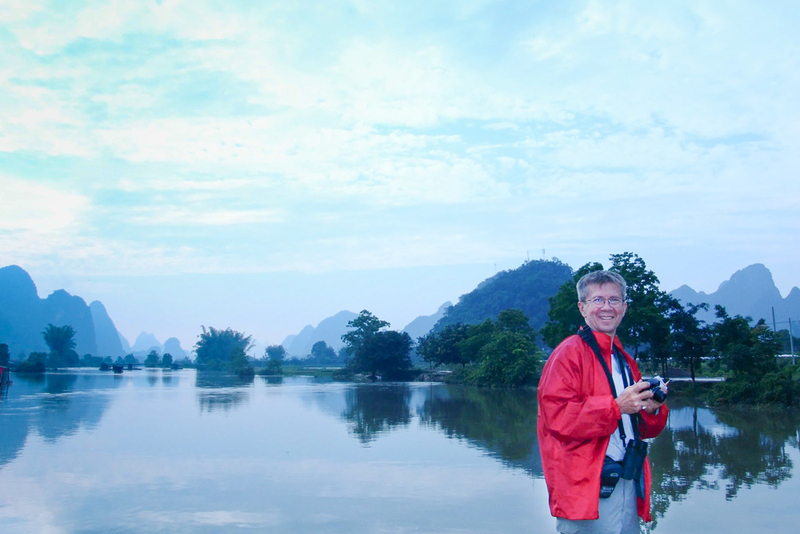 When: August 10, 2013 at 10:00 a.m.
Join Stephen Maciejewski from the Liberty Bell chapter in Philadelphia as he takes you on a 15-day journey into a seldom seen section of China. Follow him and Professor Wei Yi-Gang, author of Gesneriaceae of South China as they travel 3,000 kilometers in search of beautiful, rare and still unnamed species of gesneriads. You'll see plants never seen before: many Primulinas, other gesneriads and plants like the cave growing iridescent blue Begonia edulis. Plus spectacular scenery, including otherworldly karst mountains, caves larger than ball parks, elaborate rice fields and quaint villages. And learn how a little caterpillar can have a major effect on your plans. For those with a culinary interest, there's: a soup I won't mention here, white bees with ginger and green slime fungus with vegetables. A feast for all your senses.